The 2018 NY Highway Traffic Safety Symposium is coming up next week! This year’s conference will be held at the Crowne Plaza Lake Placid, from October 15-18, 2018. L-Tron will be exhibiting at the symposium, showcasing our 4910LR Driver’s License Reader and introducing Law Enforcement Officers to OSCR360. OSCR360 is your new partner, ready to help you capture and organize your case. The minute you step into a scene – whether it’s a crime, a crash, a fire or another emergency – you are stepping into the courtroom. OSCR360 helps you quickly document the scene in 360 degree overall images; instantly view the images on the OSCR tablet and using the intuitive software, easily build the evidence scene presentation as a virtual tour. The crime scene is seen in its entirety – OSCR can walk anybody through the details of each room; no piece of evidence is lost or overlooked. Minimize scene contamination; quickly document the entire scene; instantly view your images, and step into the courtroom with a fair and accurate presentation of the crime scene- something today’s jurors expect to see. OSCR has been traveling to municipalities and fire departments all summer; OSCR is meeting and assisting departments throughout Texas, New York, Connecticut, Massachusetts, New Jersey, Ohio and Pennsylvania.. 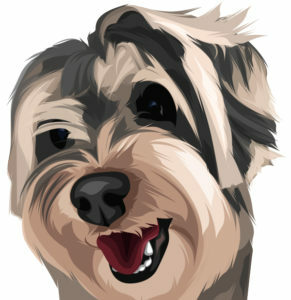 He would love to stop by your department for a visit. L-Tron team members, Juli & Hank, will be providing an OSCR presentation at the NY Highway Traffic Symposium. Drop by to see a complete overview of the system and how OSCR can help your department. 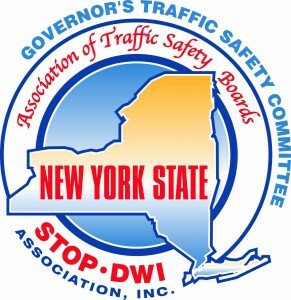 The NY Highway Traffic Safety Symposium is sponsored by the 3 leading traffic safety organizations in the state – the Governor’s Traffic Safety Committee, the New York State Association of Traffic Safety Boards and the New York State STOP-DWI Association, Inc. The NY State Highway Traffic Safety Symposium begins with registration and a welcome dinner buffet on Monday evening. The conference continues through the week with several sessions, peer networking, an exhibitor showcase and ends Thursday around 11AM. Last year, the Highway Traffic Safety Symposium (also called Stop DWI), was held in Niagara Falls, NY. Read about the team’s experience attending the show in 2017 here. The 2019 NY Highway Traffic Safety Symposium will be held in Albany, NY from Oct 21st to Oct 24th. Questions? Interested in meeting us in Lake Placid?